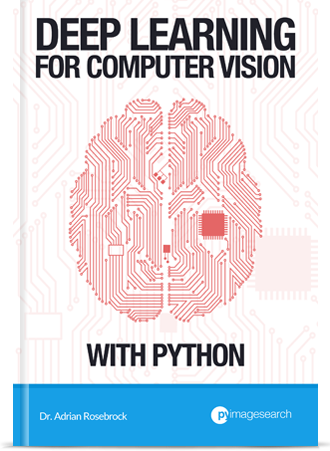 This tutorial will teach you how to perform object tracking using dlib and Python. After reading today’s blog post you will be able to track objects in real-time video with dlib. A couple months ago we discussed centroid tracking, a simple, yet effective method to (1) assign unique IDs to each object in an image and then (2) track each of the objects and associated IDs as they move around in a video stream. The biggest downside to this object tracking algorithm is that a separate object detector has to be run on each and every input frame — in most situations, this behavior is undesirable as object detectors, including HOG + Linear SVM, Faster R-CNNs, and SSDs can be computationally expensive to run. Is such a method possible? The answer is yes, and in particular, we can use dlib’s implementation of the correlation tracking algorithm. In the remainder of today’s blog post, you will learn how to apply dlib’s correlation tracker to track an object in real-time in a video stream. To learn more about dlib’s correlation tracker, just keep reading. We’ll start off today’s tutorial with a brief discussion of dlib’s implementation of correlation-based object tracking. From there I will show you how to utilize dlib’s object tracker in your own applications. Finally, we’ll wrap up today by discussing some of the limitations and drawbacks of dlib’s object tracker. The dlib correlation tracker implementation is based on Danelljan et al.’s 2014 paper, Accurate Scale Estimation for Robust Visual Tracking. Their work, in turn, builds on the popular MOSSE tracker from Bolme et al.’s 2010 work, Visual Object Tracking using Adaptive Correlation Filters. While the MOSSE tracker works well for objects that are translated, it often fails for objects that change in scale. The work of Danelljan et al. proposed utilizing a scale pyramid to accurately estimate the scale of an object after the optimal translation was found. This breakthrough allows us to track objects that change in both (1) translation and (2) scaling throughout a video stream — and furthermore, we can perform this tracking in real-time. For a detailed review of the algorithm, please refer to the papers linked above. input/ : Contains input videos for object tracking. output/ : Our processed videos. In the processed video, the tracked object is annotated with a box and label. mobilenet_ssd/ : The Caffe CNN model files are contained within this directory. Today we’ll be reviewing one Python script: track_object.py . Let’s go ahead and get started implementing our object tracker using dlib. Here we import our required packages. Notably, we’re using dlib, imutils, and OpenCV. --prototxt : Our path to the Caffe deploy prototxt file. --model : The path to the Caffe pre-trained model. --video : The path to the input video file. Today’s script works with video files rather than your webcam (but you could easily change it to support a webcam stream). --label : A class label that we are interested in detecting and tracking. Review the next code block for the available classes that this model supports. --output : An optional path to an output video file if you’d like to save the results of the object tracker. --confidence : With a default=0.2 , this is the minimum probability threshold and it allows us to filter weak detections from our Caffe object detector. We’ll be using a pre-trained MobileNet SSD to perform object detection in a single frame. From there the object location will be handed off to dlib’s correlation tracker for tracking throughout the remaining frames of the video. The model included with the “Downloads” supports 20 object classes (plus 1 for the background class) on Lines 27-30. Note: If you’re using a different Caffe model, you’ll need to redefine this CLASSES list. Similarly, don’t modify this list if you’re using the model included with today’s download. 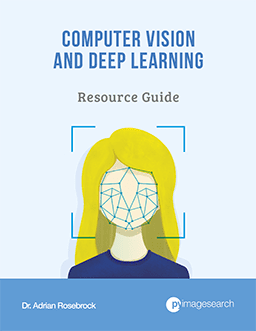 If you’re confused about how deep learning object detectors work, be sure to refer to this getting started guide. Prior to looping over frames, we need to load our model into memory. This is handled on Line 34 where all that is required to load a Caffe model is the path to the prototxt and model files (both available in our command line args dictionary). Our video stream, tracker , and video writer objects are initialized on Lines 39-41. We also initialize our textual label on Line 42. Our frames-per-second estimator is instantiated on Line 45. We begin our while loop on Line 48 and proceed to grab a frame on Line 50. Our frame is resized and the color channels are swapped on Lines 58 and 59. Resizing allows for faster processing — you can experiment with the frame dimensions to achieve higher FPS. Converting to RGB color space is required by dlib (OpenCV stores images in BGR order by default). Optionally, at runtime, an output video path can be passed via command line arguments. So, if necessary, we’ll initialize our video writer on Lines 63-66. 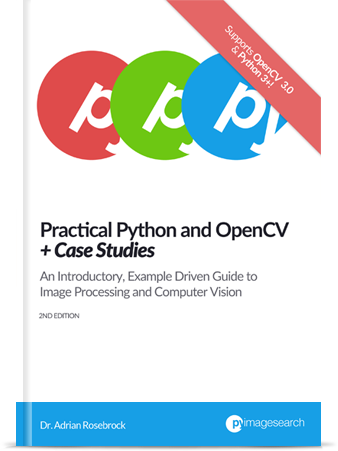 For more information on writing video to disk with OpenCV, see this previous post. If our tracker object is None (Line 71), we first need to detect objects in the input frame . To do so, we create a blob (Line 74) and pass it through the network (Lines 78 and 79). If our object detector finds any objects (Line 82), we’ll grab the one with the largest probability (Line 88). We’re only demonstrating how to use dlib to perform single object tracking in this post, so we need to find the detected object with the highest probability. Next week’s blog post will cover multi-object tracking with dlib. From there, we’ll grab the confidence ( conf ) and label associated with the object (Lines 92 and 93). On Line 97 we check to ensure that conf exceeds the confidence threshold and that the object is actually the class type we’re looking for. When we run the script later, we’ll use “person” or “cat” as examples so you can see how we can filter results. We determine bounding box coordinates of our object on Lines 100 and 101. Then we establish our dlib object tracker and provide the bounding box coordinates (Lines 106-108). Future tracking updates will be easy from here on. A bounding box rectangle and object class label text is drawn on the frame on Lines 111-114. This else block handles the case where we’ve already locked on to an object for tracking. Think of it like a dogfight in the movie, Top Gun. Once the enemy aircraft has been locked on by the “guidance system”, it can be tracked via updates. Update our tracker object (Line 121) — the heavy lifting is performed in the backend of this update method. Grab the position ( get_position ) of our object from the tracker (Line 122). This would be where a PID control loop would come in handy if, for example, a robot seeks to follow a tracked object. In our case, we’re just going to annotate the object in the frame with a bounding box and label on Lines 131-134. If the frame should be written to video, we do so on Lines 137 and 138. We’ll show the frame on the screen (Line 141). If the quit key (“q”) is pressed at any point during playback + tracking, we’ll break out of the loop (Lines 142-146). Our fps estimator is updated on Line 149. Our fps counter is stopped and the FPS information is displayed in the terminal (Lines 152-154. Then, if we were writing to an output video, we release the video writer (Lines 157 and 158). Lastly, we close all OpenCV windows and release the video stream (Lines 161 and 162). To see our dlib object tracker in action, make sure you use the “Downloads” section of this blog post to download the source code. Usain Bolt (Olympic World Record holder) was detected initially with highest confidence at the beginning of the video. From there, he is tracked successfully throughout his 100m race. The cat above was part of a BuzzFeed segment cat owners trying to take their cats for a walk (as if they were dogs). Poor cats! If you watched the full output video of the demo above, you would have noticed the object tracker behaving strangely towards the end of the demo, as this GIF demonstrates. Why is the tracker losing the object? Keep in mind there is no such thing as a “perfect” object tracker — and furthermore, this object tracking algorithm is not requiring you to run a more expensive object detector on each and every frame of the input image. Instead, dlib’s correlation tracker is combining both (1) prior information regarding the location of the object bounding box in the previous frame along with (2) data garnered from the current frame to infer where the new location of the object is. There will certainly be times when the algorithm loses the object. To remedy this situation, I recommend occasionally running your more expensive object detector to (1) validate the object is still there and (2) reseed the object tracking with the updated (and ideally correct) bounding box coordinates. August’s blog post on people counting with OpenCV accomplished exactly this, so be sure to check it out. Undoubtedly, I know there will be PyImageSearch readers wishing to apply this method to multi-object tracking rather than single object tracking. Is it possible to track multiple objects using dlib’s correlation tracker? I’ll be covering multi-object tracking next week, so stay tuned. To create the examples for this tutorial I needed to use clips from two different videos. A big thank you and credit to BuzzFeed Video and GERrevolt. In today’s blog post we discussed dlib’s object tracking algorithm. Unlike July’s tutorial on centroid tracking, dlib’s object tracking algorithm can update itself utilizing information garnered from the input RGB image — the algorithm does not require that a set of bounding boxes be computed for each and every frame in the input video stream. As we found out, dlib’s correlation tracking algorithm is quite robust and capable of running in real-time. However, the biggest drawback is that the correlation tracker can become “confused” and lose the object we wish to track if viewpoint changes substantially or if the object to be tracked becomes occluded. In those scenarios we can re-run our (computationally expensive) object detector to re-determine the location of our tracked object — be sure to refer to this blog post on people counting for such an implementation. In our next blog post we’ll be discussing multi-object tracking with dlib — to be notified when the next blog post goes live (and download the source code to today’s post), just enter your email address in the form below. Hello Adrian! As usual, your blogs are so useful and amazing, they make our projects alot easier. I was wondering if you can do a tutorial on the Intel’s new Open VINO toolkit, so that we could make use of open cv’s algorithms as well as use the Optimization, deployment tools provided by Intel in the open VINO toolkit to rapidly prototype our computer vision applications. Thank you so much! Thanks for the comment Ebrahim. And thank you for the suggestion on Intel’s Open VINO toolkit. I cannot guarantee if or when I would cover the topic but I’ll certainly give it some thought. I am working on project where we are using openvino kit for deep learning solution , but it not able to detect licence plate recognition for specific country , so i want to include that failure inside to the openvino.. you have any idea about that?? I am really enjoying this last posts about video trackers. Although I work over C++, I am finding them really helpful. I didn’t know about the possibility of dlib. I am developing a project on a raspberry pi based on video tracking, and the only tracker that can be done real time here on full resolution is the MOSSE tracker. The drawback is that it doesn’t support change in scale, and it is important for me because I am tracking from the air, form a moving UAV. You just solved me this problem on this post, thank you very much! By the way, I’ve seen you don’t have any post regarding opencv and gstreamer use. It is a very common combination, and a bit tricky to get working. I personally have it already working, but I am sure a post on this topic would help lot of readers. Thank you, keep the good work! Thanks David! You’ll be able to use dlib directly from your C++ application which is awesome, I’m glad that helps resolve the problem for you 🙂 Also, thank you for the suggestion on OpenCV and gstreamer. It is a bit tricky. 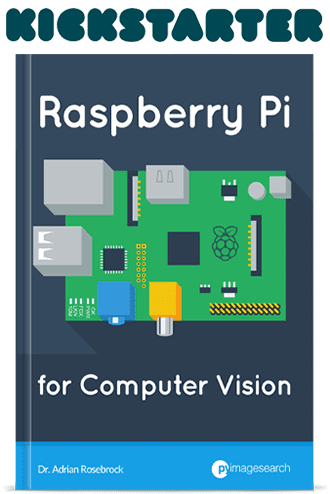 I’ll see if I can cover it in a blog post but I can pretty much guarantee it’s going to be apart of our upcoming Computer Vision + Raspberry Pi book. Hi Adrian. Thanks for the fantastic tutorial. I’m currently building a automobile traffic counter with SSD-Mobilenet and MOSSE Tracker. 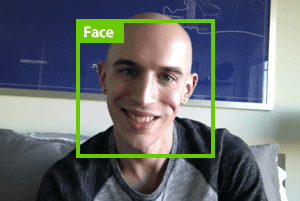 Hey Anand — have you read my previous tutorial on building na OpenCV people counter? That tutorial would give you the starting point for your traffic counter, including how to associate objects between frames. I noticed the update of the tracker returns the ‘Peak to Side-Lobe Ratio’. All the documentation says it is a ‘confidence that the object is within the rect’. Any idea how this value is created / used? I imagine a robust ‘tracker’ would use this value and if it went below a certain threshold return to using the detector. For a sample project i’m seeing it start at ~20 and drop to 9 but without more info hard to understand how to construct this value should be used. An article about improving the ‘robustness’ and recovering from tracking getting off would be interesting. Hi Adrian. Great post as usual ,Thank you. I’m currently building vehicle tracking system ,do you thing using Extended Kalman Filter will be better than centroid and dlib tracker? The only way to know is to try 🙂 Run experiments with both and let the empirical results drive your decision making. Thanks for the awesome books and tutorials! I work on detecting additional facial features like forehead wrinkles and the nasolabial fold for better emotion prediction. Can you please advise on what the approach to find these features should look like? For your project I would suggest first performing facial landmark prediction. Inside the comments of the post you’ll see my recommendations for detecting the forehead region as well. Do you have an email you can be reached at? You can use the PyImageSearch contact form and your message will go to my inbox. It was a really good news that dlib has implemented multi-scale MOSSE (DSST). Is there anybody who have tested it and compared with KCF? which one is faster? MOSSE itself is much much faster than KCF but I wanted to know about its multi-scale version. I actually provide a full review of MOSSE, KCF, and other trackers in this tutorial. The focus of the tutorial is on object tracking not object detection. Object detection is only performed in the very first frame. Each object is then tracked. He was not detected in that frame and thus he was not tracked. For a full-fledged person tracking application see this tutorial on people tracking. Hello Adrian，thanks for your great post. I want to ask if i can use the other deep network, for example YOLOv3. Yes, you can swap out the SSD for whatever object detector you would like. Thanks for the nice tutorials once more. In a situation where we change our Video stream to read video from webcam, what will be the –video argument to pass in the command line? You can apply an intermediate object detector every N frames like I do in this OpenCV People Counter tutorial. Thanks for this tutorial, and it is very useful for me. But I have a question that, which dataset is used for the pretrained MobielNet? The COCO dataset was used. There is an mistake named “no module named imutils.video”,I want to look for a solution about this problem.Please help me,thank you! [INFO] time elapsed and [INFO] FPS , before frame shows the Raspberry Pi 3 is restarted i tried many times but Raspberry pi 3 is restarted every time. so please can u get me solution of this. It sounds like the Pi is becoming overloaded and shutting itself down. I personally haven’t tested this code on the Pi but my guess is it’s either (1) overheating, (2) running out of memory, or (3) it’s a hardware-related issue. to avoid dlib.rectangle error !. uff it was hard to find the problem, i don´t know why i get that error, maybe because i am running in Jupyter (without avoiding args ) ? What was the dlib.rectangle error you had? hi how the faces are tracked… in this corelation model??? Yes, it is a correlation model. @Adrian can i track the faces using this model????? if not then which model is best for that. See this tutorial as a starting point. When I use dlib, the cpu utilization on the Pi is very, very high, across all CPUs, even if I’m only tracking 1 or 2 objects. Is that normal? If I try and track 4 or 5 objects, all the cores on the PI go to 100%. Absolutely normal. The Pi is underpowered compared to laptops/desktops and object tracking algorithms are computationally expensive. If you are tracking multiple objects the processor will be 100% utilized. You implemented 2 techniques of face recognition which is the accurate one?? Make sure you are reading the tutorials I’m providing you. I’m happy to help but do take some time to read them and digest them. Specifically, you need to read the “Drawbacks, limitations, and how to obtain higher face recognition accuracy” section of the face recognition tutorial I linked you to. How can I select the exact object I want to follow? In this case you are following the object with the highest probability but what if I want to track a different one? What would you do? Are you manually defining the (x, y)-coordinates for the object? Or do you want the object detector to detect it? I would like to select the object manually using the mouse. You can use the cv2.selectROI function. This post includes an example of doing such. Would you use dlib for object tracking with a drone? or would you use any cv2 algorithm as csrt or tld? I would run experiments trying all of them and letting your empirical results determine which algorithm(s) you continue using. hello!I want to konw how to judge whether the tracking object is lost? You can monitor the confidence returned by the dlib correlation tracker. You can also use your own heuristics (such as the object is at the boundary of the frame for N consecutive frames with no update). Is it possible to track a particular person who is in a dataset with a webcam? You would need to follow the YOLO tutorial which it sounds like you are doing. Without knowing the errors it’s hard for me to pinpoint the issue. Keep at it though! Hi Adrian! I am following up with your amazing tutorial. Thank you! However, I am in need of your advice. My scenario is as follows: camera 1 and camera 2 is setup next to each other covering each side of the hallway. (So there is minimum space that the camera doesn’t cover). Is it possible to move the tracking target bounding box to next camera and keep on tracking the same person? Then what should be moved to the next camera? bounding box? frame? both? Do you have an example output I could take a look it? Have you considered just stitching the frames together?